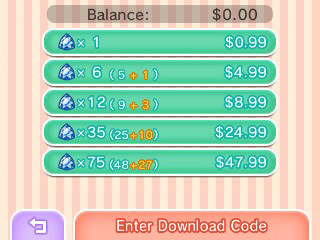 As a free-to-play game, Pokémon Shuffle relies on players purchasing Jewels from the Nintendo eShop in-order to continue playing. 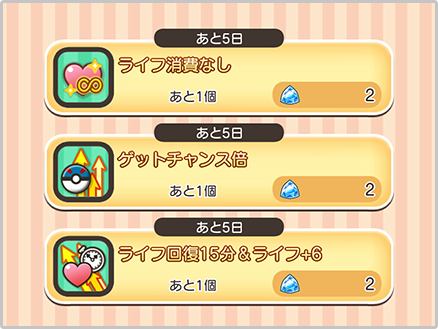 Players purchase Jewels and they can be used to exchange for extra Coins to get items, uised to continue a match after turns run out or obtain Hearts to keep playing the game after a player has run out. The price of Jewels varies between different countries. All transactions take place through the Nintendo eShop, so players can see their current balance on the Jewel Shop section in the game. 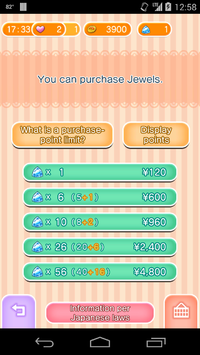 The mobile jewel prices are different than the Nintendo 3DS version of Shuffle and also the number of jewels players get differs. Once players have purchased Jewels, they can then exchange them for Hearts or Coins. At the start of each stage, players can use coins to purchase items that they can use during the game. Each item has a unique ability that helps the player make the gameplay a bit easier. Players can exchange Jewels into Coins which can then be used to purchase the items. 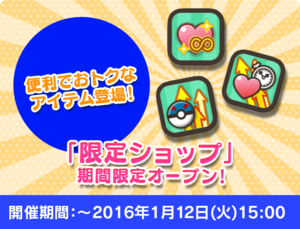 Pokémon Shuffle Mobile had added a Limited Shop (限定ショップ) which allowed players from December 22nd, 2015 until January 12th, 2016 to purchase new items. 1. 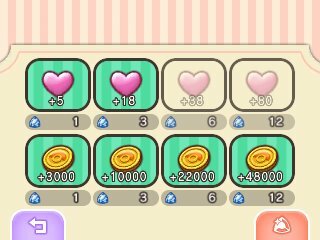 No Hearts Needed (ライフ消費なし): 2 Jewels - Removes the hearts requirement for 1 hour. 2. Superior Super Catch Time (ゲットチャンス倍): 2 Jewels - Increases catch rate for 1 hour. This page has been viewed 4909 times.